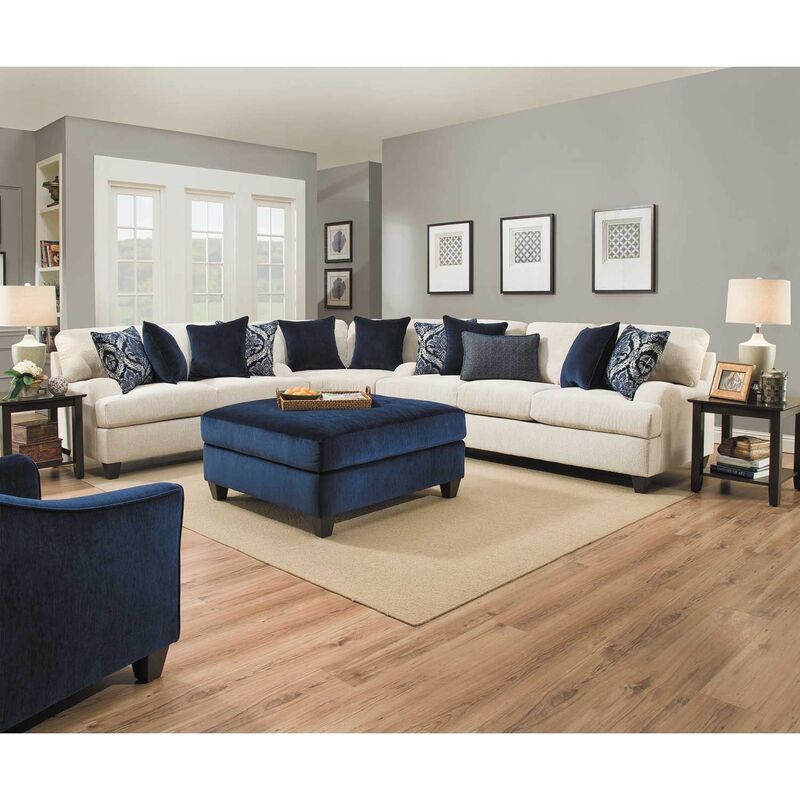 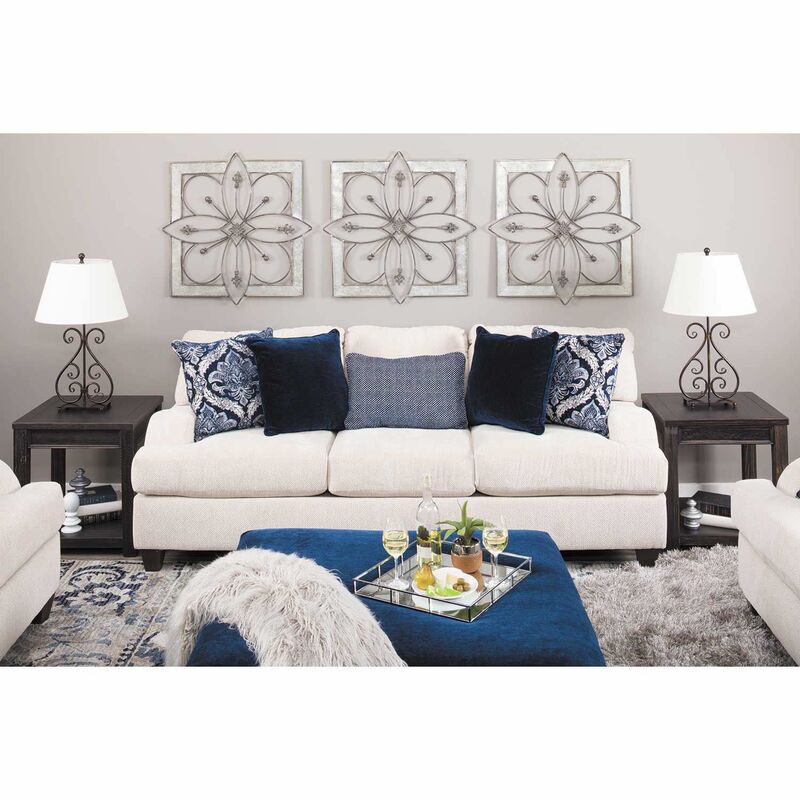 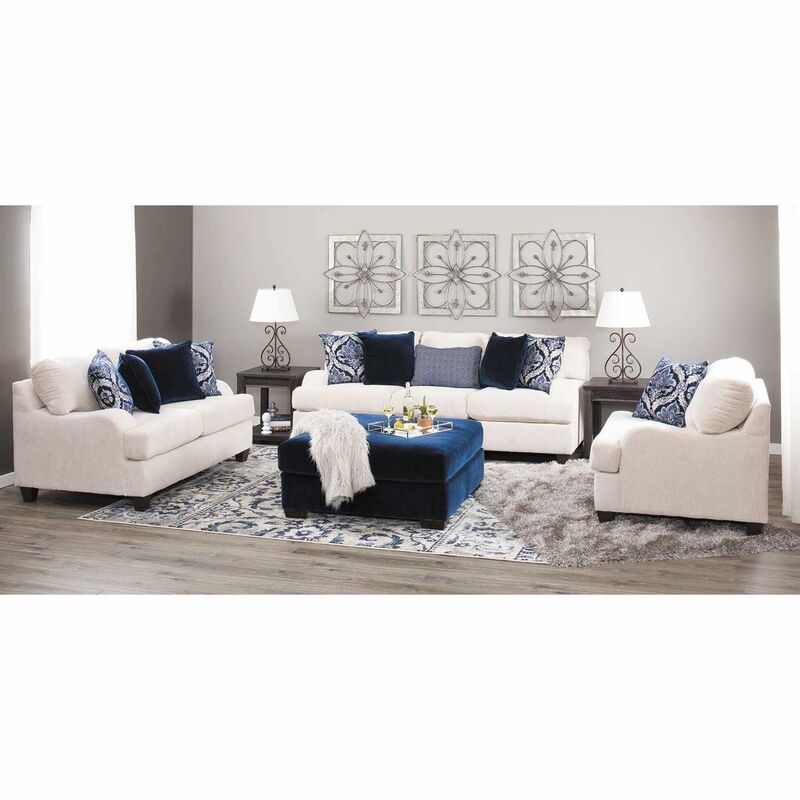 With its timeless silhouette and sophisticated look, the Sophia Sapphire Cocktail Ottoman by United Simmons Upholstery is sure to bring casual elegance to any home. 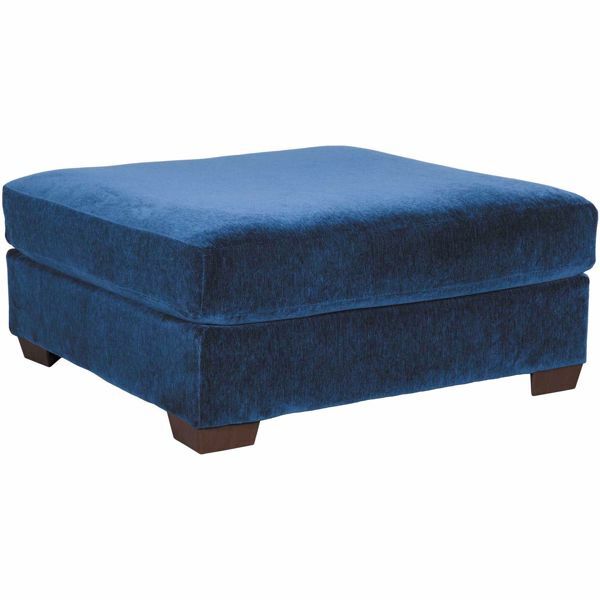 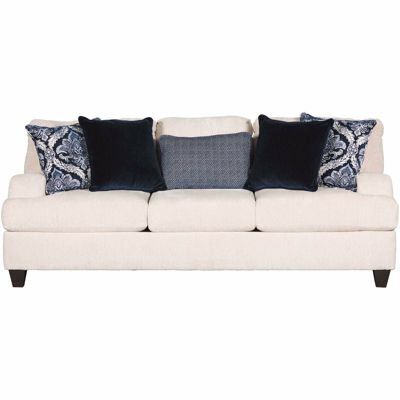 This cocktail ottoman features simple lines and velvety upholstery in a rich sapphire blue. 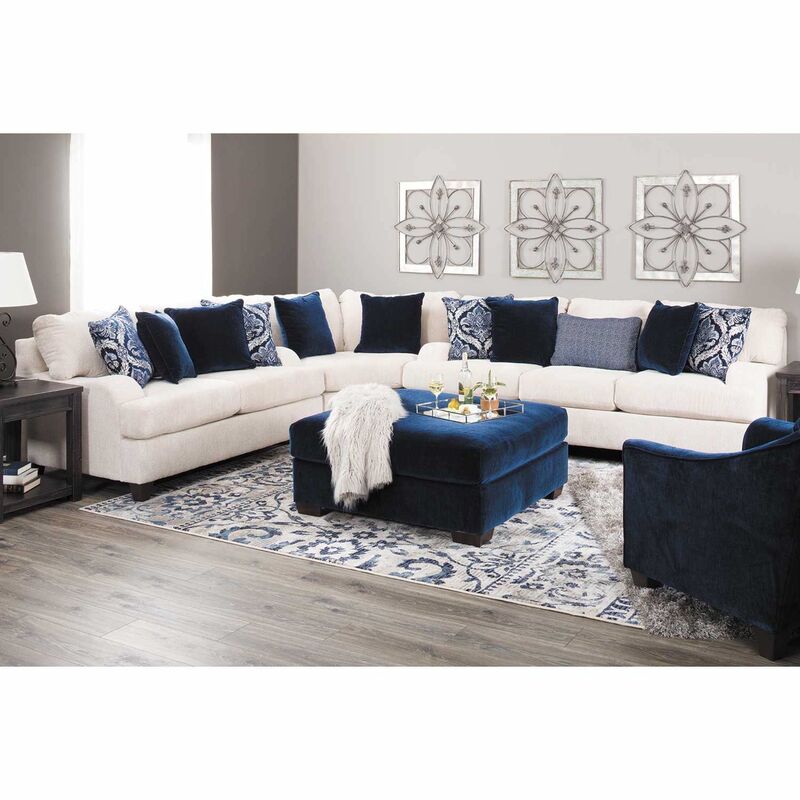 With its timeless silhouette and sophisticated look, the Sophia Sapphire Cocktail Ottoman by United Simmons Upholstery is sure to bring casual elegance to any home. 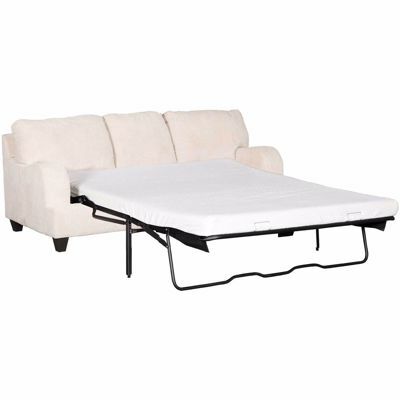 Sophia Sapphire Cocktail Ottoman from United Simmons Upholstery. 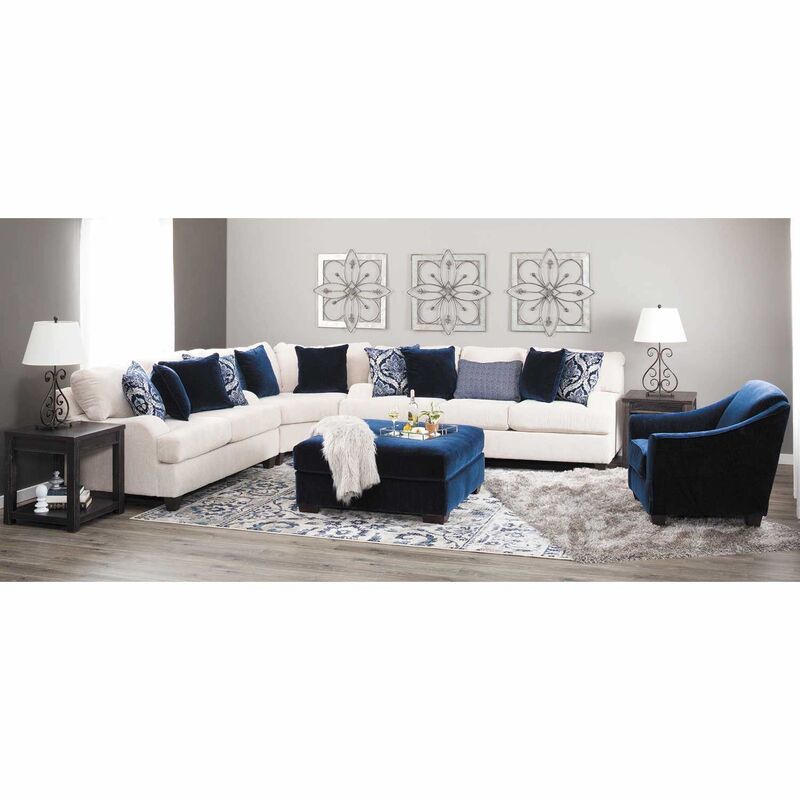 Ottoman is covered in a sapphire blue, 100% polyester cover.